Situated in central Temiskaming, the Earlton-Timiskaming Regional Airport (CYXR) is an important transportation link for more than 35,000 residents of the District of Temiskaming. 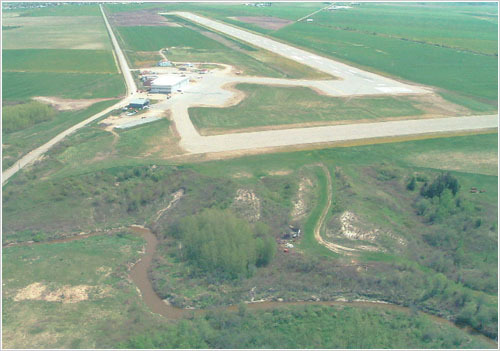 Located 2.5 kilometres west of Earlton, Ontario, the Airport serves all Temiskaming communities and surrounding areas. Our Airport connects and accesses the business communities in Temiskaming to regional, national and international markets and clientele. It is also the hub for the Air Ambulance Services in the area, connecting Englehart, Temiskaming and Ville Marie hospitals to specialized services offered in larger centers such as Sudbury, Toronto, Ottawa and Montreal.